Season 2 of the animation, Beyblade Burst Evolution, takes the competition global as Valt evolves his skills on the path to BeyMastery. 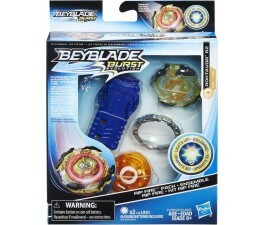 Face off against an opponent with Beyblade Burst tops inspired by the animated series. These tops can "burst" into pieces resulting in 2 points for the other player (burst rates vary). First blader to reach 3 points wins. 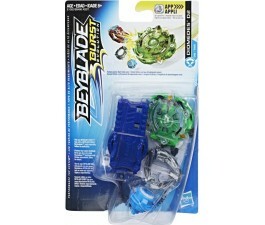 This Beyblade Burst top’s components are interchangeable with most Beyblade Burst tops except Beyblade Burst Rip Fire tops.